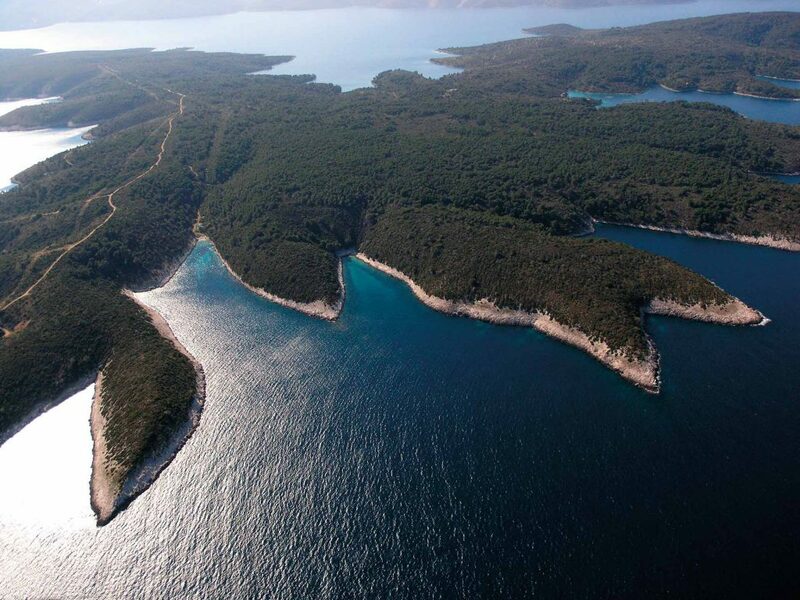 A short distance away from Hvar Island are the Pakleni Islands. In fact, they are so close that you can see them directly from Hvar town, the main tourist hub on the popular island. 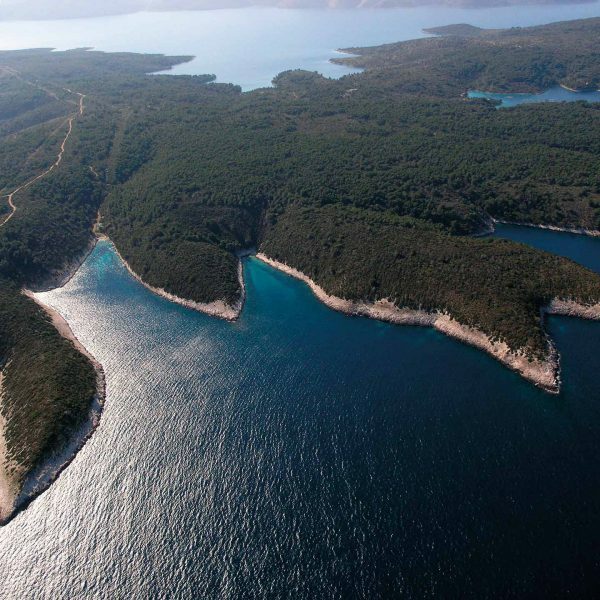 This is the reason why they are considered to be part of the so-called Hvar Riviera. 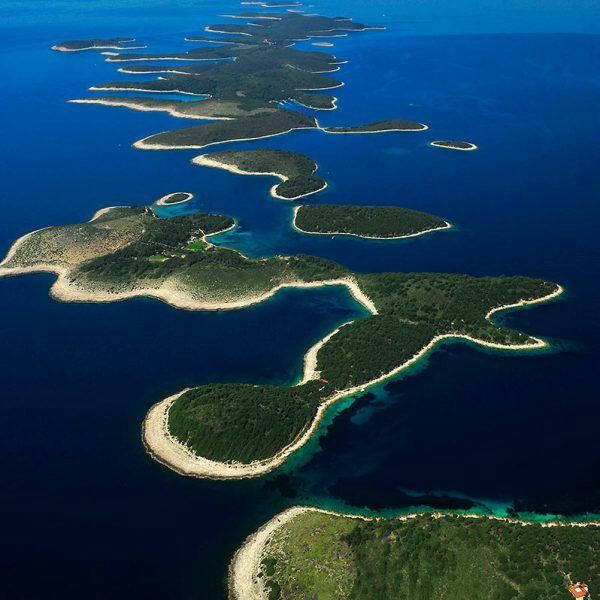 They are often mistakenly called Hell’s Islands given that the Croatian word for hell is pakao, but there is nothing diabolic about them. Their name comes from a type of pine resin, which was once harvested on the islands and used for coating ships – paklina. Let’s explore them one by one. 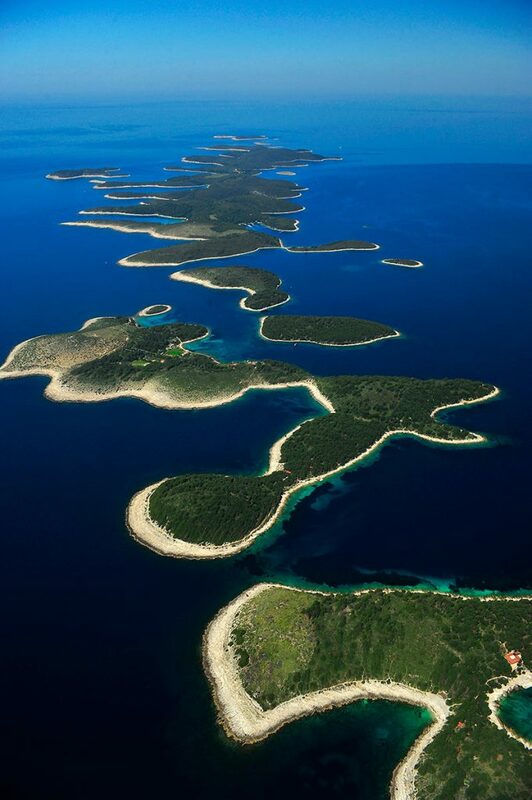 Palmizana, also known as Sveti Klement, is the largest of the Pakleni Islands and one of the easiest to reach. 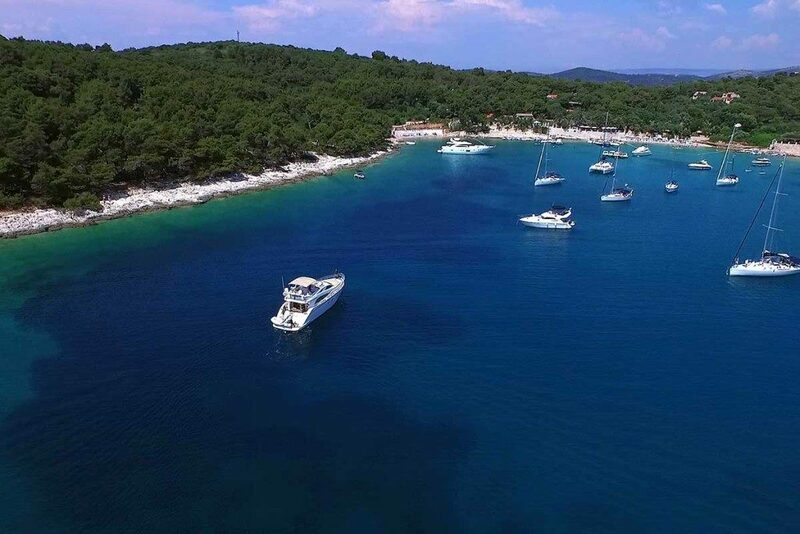 You can get to it by taxi boat from Hvar Island which departs from port in Hvar town. Palmizana has been a tourist destination for over a century now. There is a marina for mooring your boat if you choose this mode of transport. In addition to the gorgeous sandy beaches and lush pine forest, you can explore Meneghello estate which has its own arboretum and art gallery. Some of the best restaurants and bars in the local area are found on this island, with each one offering a unique setting and diverse cuisine. The picturesque Marinkovac Island is best-known for Stipanska Bay which is an awesome place to unwind and marvel at the natural beauty. Another inlet you can visit is Zdrilca which has some secluded pebble beaches. 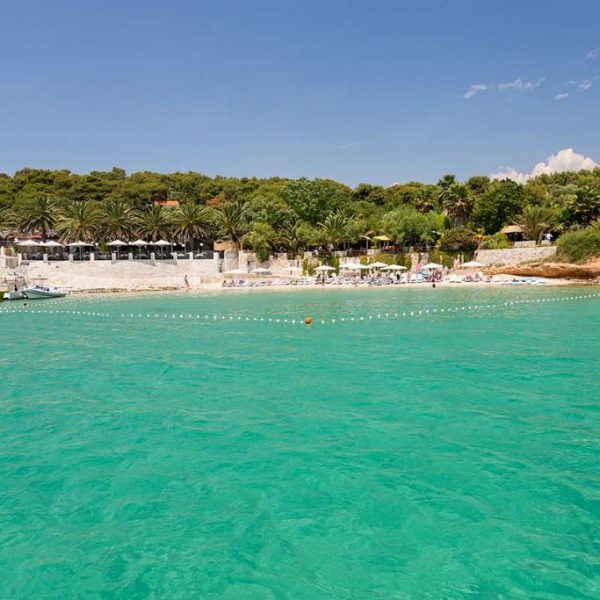 This one of the Pakleni Islands is home to some of the best night clubs not only in Dalmatia, but in the whole of the Adriatic. If you want a party in a luxury setting with a five-star service this is the place to go. Jerolim is a great island for relaxing and getting active in pristine natural surroundings. It has gorgeous beaches and is a favorite of naturists. If you plan to put swimwear on, Amo Beach is the most straightforward choice. Otherwise, you may want to explore some of the most secluded ones which are within short walking distance. 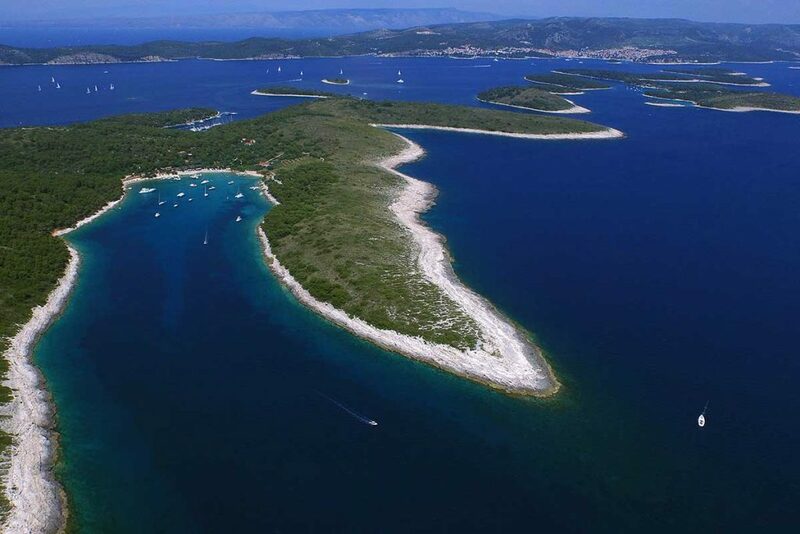 Galesnik is the closest of all Pakleni Islands to Hvar. Its major attraction is the beach restaurant with eco-ethno cuisine. There is nothing more satisfying than eating a local specialty and sipping wine produced in the region with the waves splashing just a few meters away from you. Don’t be surprised to see Mercedes the Donkey walking along the beach. Both kids and adults love taking pictures with it. 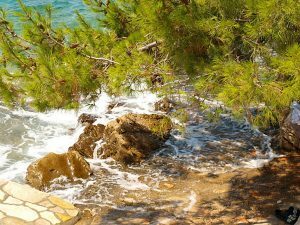 One important thing to keep in mind about these islands is that they are a lot less crowded and much quieter compared to the major tourist destinations on Hvar Island. They are ideal for those who want to unwind fully. The islands are great for romantic escapes too. Where do you want to go on Pakleni Islands? I which country are Pakleni Islands located? Are you asking yourself what is worth visiting while in Split? Away from the city, the most beautiful group of islands in the area is not far with one of our speedboats. Discover forest-covered islands immersed in crystal clear water. Leave the bustle of Split and escape into the hidden coves. 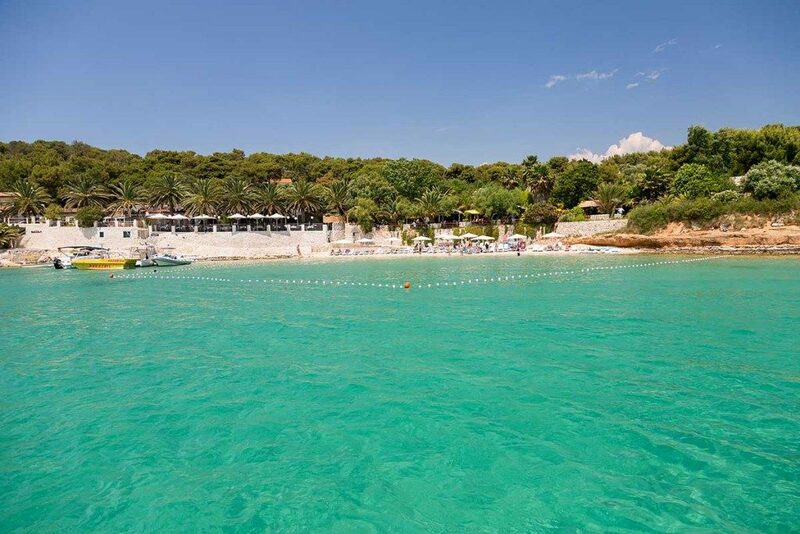 We can take you to the simply gorgeous Palmižana bay, an ideal place for relaxing on the sandy beach while tasting some local specialities. In case you wish to visit an ancient urban centre after the relaxing time on the Pakleni Islands, don’t worry. The island of Hvar is only a blink of an eye from here, where many other interesting experiences await you. Scuba diving is one of the major attractions that Pakleni Islands have to offer. The waters off the coast of the small island of Stambedar, near Palmizana, are the most popular with divers visiting Dalmatia. 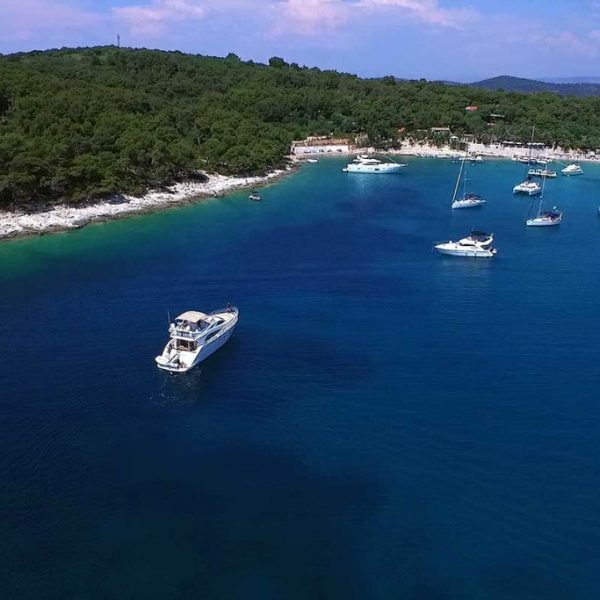 There you will be able to discover the natural wonders of Vodnjak reef. It has sponges and algae in all the colors of the rainbow and lots of diverse fish. Kayaking is another popular water sport in this area. This is a fantastic way to discover secluded coves and beaches. The activity is more than relaxing and enables you to explore various awesome places at your own pace. It seems that the Pakleni Islands were created for island hopping. They are closely packed together and aren’t very big. You can take a day trip around all of them to marvel at the beautiful nature. 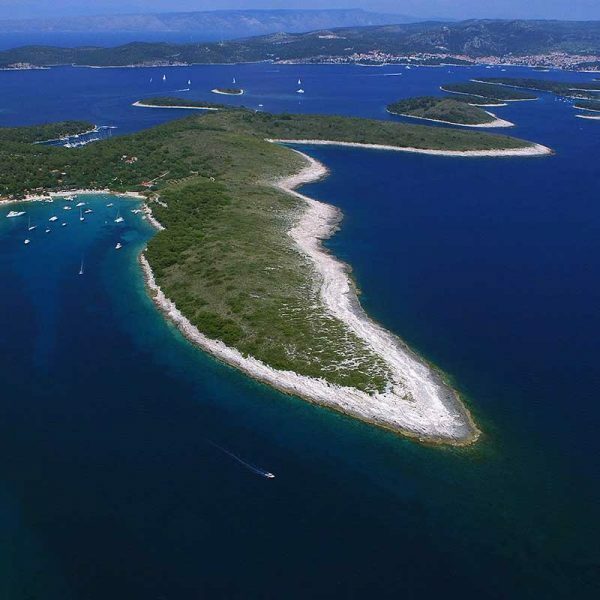 There are several ways to reach Pakleni Islands from the Town of Hvar or Split. You can take the passenger ferry from Hvar which has stops on the biggest islands and namely Palmizana, Marinkovac and Jerolim. It’s also possible to take a water taxi that will drop you off exactly where you want. Another option is to hire a boat and to explore the islands at your own pace. Alternatively, you can take an organized tour. The best time to visit the islands is in the summer when all restaurants, bars, cafes, shops and attractions are open and welcome tourists.